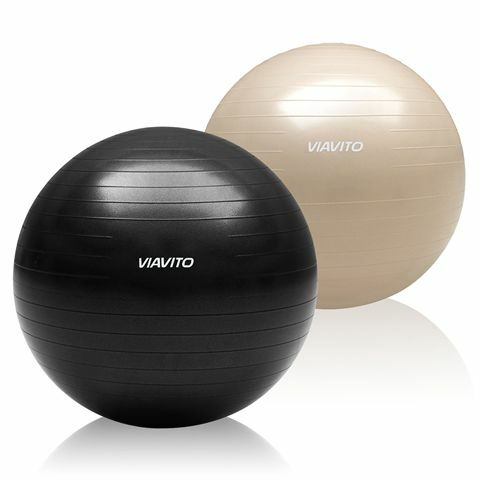 This 75cm Viavito gym ball is suited to those seeking the ultimate in quality! 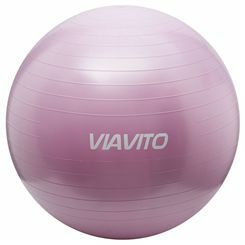 Made from 2100g of high-grade, non-toxic PVC, this heavy-duty gym ball is the right size for users over 178cm (5'10") in height. To ensure the perfect fit, it’s supplied with a hand pump and a specially designed tape measure for correct inflation. 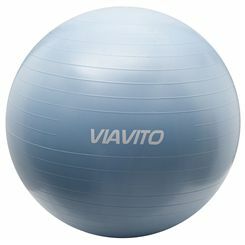 Anti-burst rated at 500kg, this gym ball is suitable for use (indoors) in all homes as well as in professional studios. 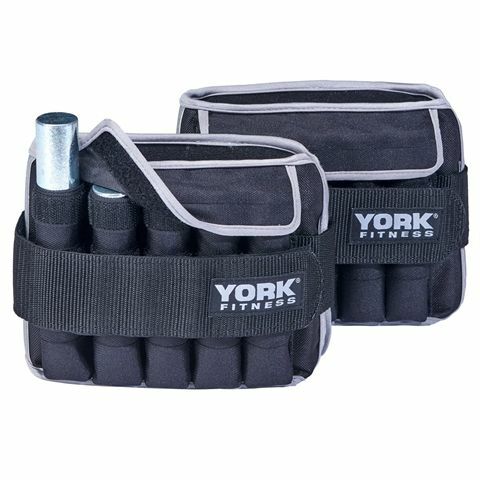 The York Fitness 5kg ankle weights are a great, versatile and simple piece of equipment that will enhance workouts and rehabilitation. Easy to slip on and fasten securely to a range of ankle sizes thanks to the buckle and Velcro, the weights, which are supplied as a pair, are soft and will stay comfortable throughout your time wearing them. 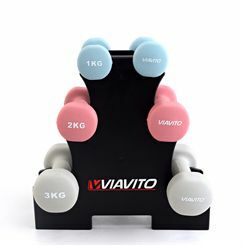 Insert the weights that you require in increments of 0.5kg up to 5 kg into the weight pockets and take your walking, jogging or running to another level, or intensify specific leg exercises. 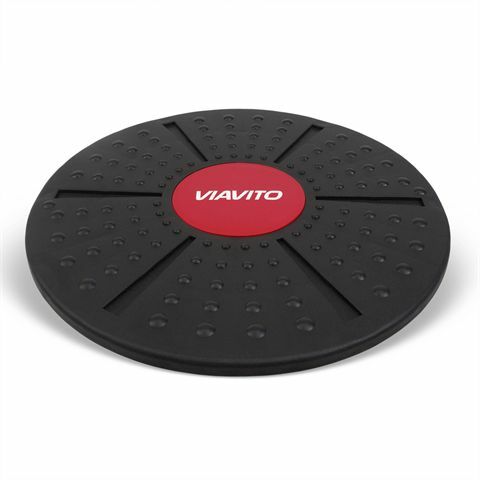 Suitable for everyone from beginners to pro athletes the Viavito adjustable balance board is designed to help improve co-ordination, develop core strength and increase proprioception. Increasing core strength and stability helps to improve posture and can also help to reduce the chances of developing strains and sprains. This board is also suitable for the rehabilitation of ankle injuries and can be used to help treat other lower leg and knee injuries. Made from tough and durable polypropylene this balance board is height adjustable and features an anti-slip surface for added stability and safety. The ability to adjust the height of the platform enables you to gradually increase the 'wobble' of the board, helping you to build confidence and increase your ability to take on more challenging exercises. 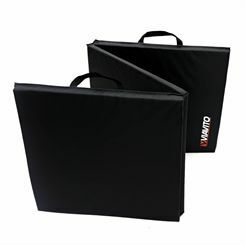 A perfect addition to any home studio or gym it's also compact and light enough to take with you to group sessions. Practice with incredible intensity skipping with the York Fitness Adjustable Vinyl speed skip rope, an excellent choice for fitness athletes or boxing practice that ensures super smooth skipping motion and adjustable length for comfortable workout. The rope is suitable for building up endurance and reflexes, and it’s designed to last with vinyl material and extra durable handles to withstand even the toughest training. 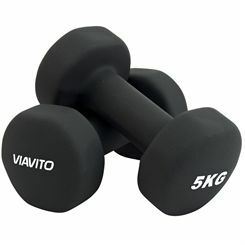 When it comes to fitness accessories, it’s a very broad term that covers hundreds of items of all shapes and sizes with lots of different uses and purposes. If you want to get stronger, fitter and more toned, lose weight, improve your balance, flexibility and stretching, increase your range of motion and stamina, or have any other fitness goal, then there will be a fitness accessory to suit you, or probably many accessories! This also means that there is something for every budget too, with effective accessories from as little as a few pounds right up to a few hundred – but most certainly won’t break the bank. Given the sheer number of workout accessories that exist it would be unwise to list them all, but we can give you a taste of some well-known ones and some you might not have seen before. 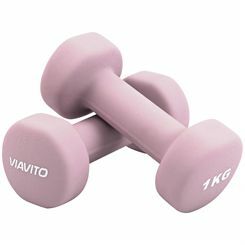 Weights are a very popular accessory and come in all forms. You’ll find the traditional dumbbell (with smaller ones sometimes referred to as hand weights or fitbells) and the ever more popular kettlebell, great for toning up a wide range of muscles. 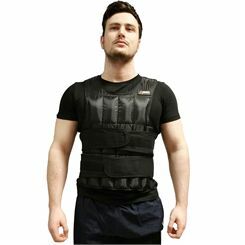 Wrist and ankle weights, and weighted vests all help add intensity to exercise sessions and daily activities. 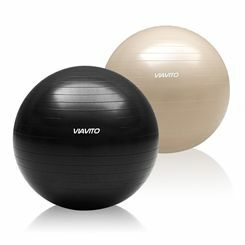 The world-renowned gym ball, Swiss ball or exercise ball, which ever title you prefer, has a massive range of uses that can get your working on pretty much all parts of your body and improving a large number of elements of your fitness. Other total body accessories include fitness trampolines, weighted bars, reaction balls, toning and resistance bands and skipping ropes. 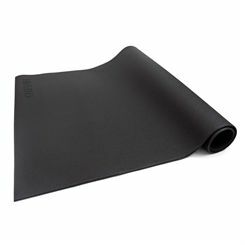 Yoga mats, floor mats and exercise mats are really handy to have for any aerobic session at home or in a gym studio. 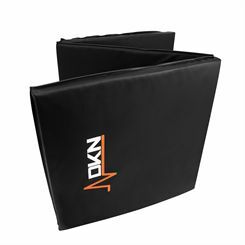 Thicker protective matting is great for putting under large fitness machines, and yoga or exercise mats will provide support and cushioning as you work out, stretch, do free weights or classes such as yoga and Pilates. 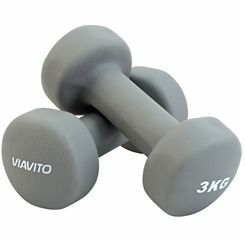 This list is by no means exhaustive and on this page you’ll find loads more exercise accessories, including more uncommon ones such as balance boards, respiratory aids, suspension trainers and more. 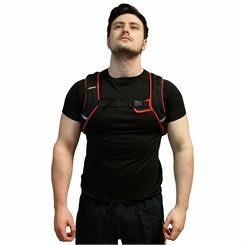 Here at Sweatband.com we stock fitness accessories from the leading brands including Adidas, York, Fitness Mad, Pineapple, DKN, iFit, Reebok, Yoga Mad, Viavito McDavid and many, many more. We offer them all at competitive, discounted prices and offer fast delivery, free in the UK on orders over £15.